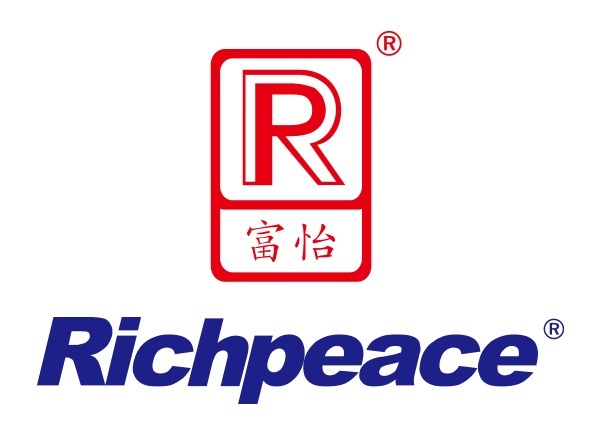 Richpeace Group Co. Ltd. was founded in 1993. Our main products are “4G (4th generation) Automatic Sewing Machine” series, Computerized Embroidery Machine series, Computerized Quilting Machine series, Computerized Cutting Machine series, Automatic Fabric Spreading Machine series, Flat-bed Cutting Machine series, GraphicPlotter series, Laser Cutting and Engraving Equipment series, Textile and Garment CAD software systems for different design and production application. Headquarter located in Hong Kong, Richpeace Group has five subsidiaries in mainland China, which are Tianjin Richpeace Computer & Machinery Co. Ltd., and Tianjin Richpeace Trading Co. Ltd. in Tianjin, Shenzhen Richpeace CAD/CAM Co. Ltd., Shenzhen Richpeace Times Technology Co. Ltd. and Shenzhen Yinrare Computer Control Co. Ltd. in Shenzhen. Tianjin Richpeace being the main base of production activities, has divided into Six branch offices which are : Sewing Equipment;Embroidery Machine;Quilting Machine;CAD Hardware Equipment office, Cutting Equipment office, Laser Equipment office and Three workshops which are:Rack workshop, Machinery workshop, Computer and Electronic control workshop. Richpeace Tianjin is a “National Level High Technology Enterprise” and owner of world famous and award-winner brand “Richpeace”was awarded numerous awards and prizes. We was qualified the standard of ISO 9001 Quality Management System Certification, and our products were granted the CE certification. We were presented national-level “China Excellent Patent Prize” by SIPO (State Intellectual Property Office) and Industrial Model of China Torch Plan Industrialization Project. Also, we won the prize for Famous-Brand Product of Tianjin City and were presented the prize for High-Tech and High-Quality Products by Tianjin government. Furthermore, we were presented other famous industry awards such as: The First Grade Prize forOutstanding Product in CISMA2013 by China Association of Sewing Machines, The Second Grade Prize for Scientific and Technical Progress by China Association of Textile Industry, and The Excellent Scientific Achievement Prize by China National Garment Association. Our products were sold to more than 100 countries and regions. We have branches and agencies in Hong Kong, India, Bangladesh, Vietnam, etc.There are direct sales agencies and branches in different regions of China like Shenzhen, Beijing, Qingdao, Nanjing, Xinjiang Autonomous Region, etc. This Luggage and Bags CAD/CAM system is mainly for suitcase, handbag, leather luggage industries, etc. It includes the necessary operations for those industries and production, such as pattern design, cost analyze, quotation processing, cut plan, budget for resource planning and handling. It brings the cost control easier and improve the efficiency, shorten production cycle. It is a very powerful tools for fashion bag, waist bag and wallet production industries as well. The special tools for side pattern makes the confirmation of shape and length of the bag immediately. Dart and Pleat tools make the complicated pleats easy and quickly. The matching function can easily match the notch and seams automatically. Calculate the fabric consumption, fabric length, weight, marker efficiency quickly. Provide professional tools for layout according to the pattern shape and calculate the utilization, it makes the cost estimation precisely. Able to transfer production data to ERP or Excel, etc. Provide professional tools for Stripe and Check matching, easier the material layout and pattern layout as well as saving material for production. Able to create and present the realistic 3D draped designs. Possible to watch a complete virtual fashion show on computer, instead of spending time to make samples and hiring models to perform. The extremely powerful feature of this design software is to help designers to create 3D draped effect & style design in a much easy way and more effectively to put their creative idea on computer. Save a lot of time as well as reduce the sampling costs, plus shorten the product development cycle. System provides a most easy and direct way to achieve the realistic 3D simulations by drag & drop the decided fabrics onto an electronic model picture. Designers can make a precisely fine tuning on the dimension and positioning of the fabrics onto the garment per the requirement. Due to costs and development time are both reduced, this 3D draping feature makes the management more rational and efficiency to control product R & D progress. This software has a good compatibility with MS WORD and EXCEL programs, thus can make the production sheets with all technical details about the style, sketch, measurement spec., fabric and so on, which can be a good communication tool between the design purchase and production departments. Compatible with digital pen. Designs will be shown on the screen instantly when it is rawn with the digital pen. Same series of garment can be saved in one file. It is easy to manage the product development. Similar style can be shown automatically and dynamically presentation. It is the fastest and direct way to show designers idea to customers. you have ET CAD software in english version for designing Bags?